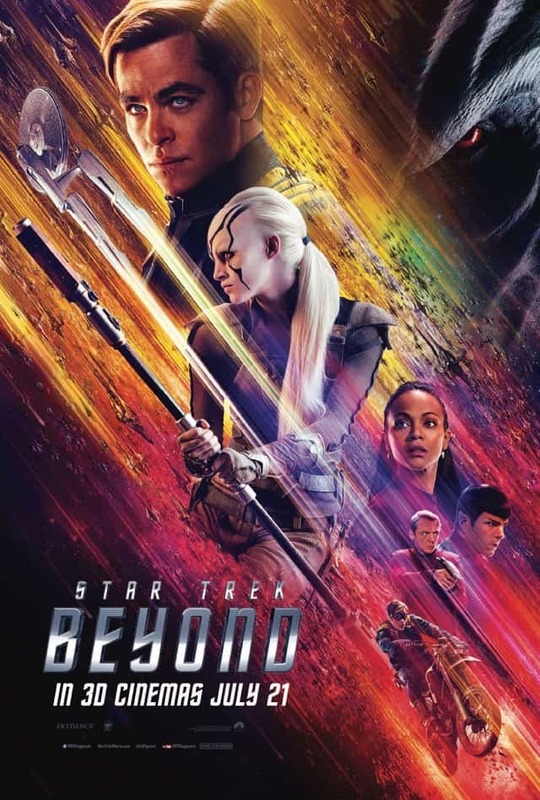 Synopsis: “Star Trek Beyond,” the highly anticipated next installment in the globally popular Star Trek franchise, created by Gene Roddenberry and reintroduced by J.J. Abrams in 2009, returns with director Justin Lin (“The Fast and the Furious” franchise) at the helm of this epic voyage of the U.S.S. Enterprise and her intrepid crew. In “Beyond,” the Enterprise crew explores the furthest reaches of uncharted space, where they encounter a mysterious new enemy who puts them and everything the Federation stands for to the test. © 2016 Par. Pics. STAR TREK AND RELATED MARKS AND LOGOS ARE TRADEMARKS OF CBS STUDIOS, INC.
1. The Contest begins on 11 July 2016 and ends at 1200 hours on 17 July 2016. 2. The Contest is open to participants residing in Singapore, who are 18 years of age or older as of the time of entry. 3. You are allowed to enter the contest only once. You must be a follower of F*** Magazine’s Facebook AND either Twitter or Instagram account. 4. F*** Magazine reserves the right at any time in their absolute discretion to cancel or modify the contest or substitute, withdraw or cancel any prize without prior notice and without having to disclose any reason.